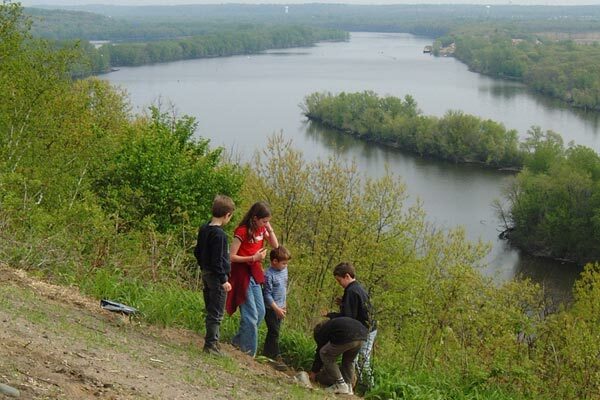 Along the Mississippi River in Inver Grove Heights, TPL continues to secure key properties that compose the Pine Bend Bluffs Scientific and Natural Area. Since 2003, in partnership with the Department of Natural Resources and Friends of the Mississippi River, TPL has conserved 168 acres of wooded hillsides, wetlands, and prairie openings for the public's use and enjoyment. Funding for this project was provided by the Minnesota Environment and Natural Resources Trust Fund as recommended by the Legislative-Citizen Commission on Minnesota Resources (LCCMR).